This is the first pattern I’ve made from Stratford-Upon-Avon’s Sew Me Something. All their patterns are named after Shakespeare characters and this is Peaseblossom. This is version one of the three included for this pattern. The other 2 being a v and a round neck. 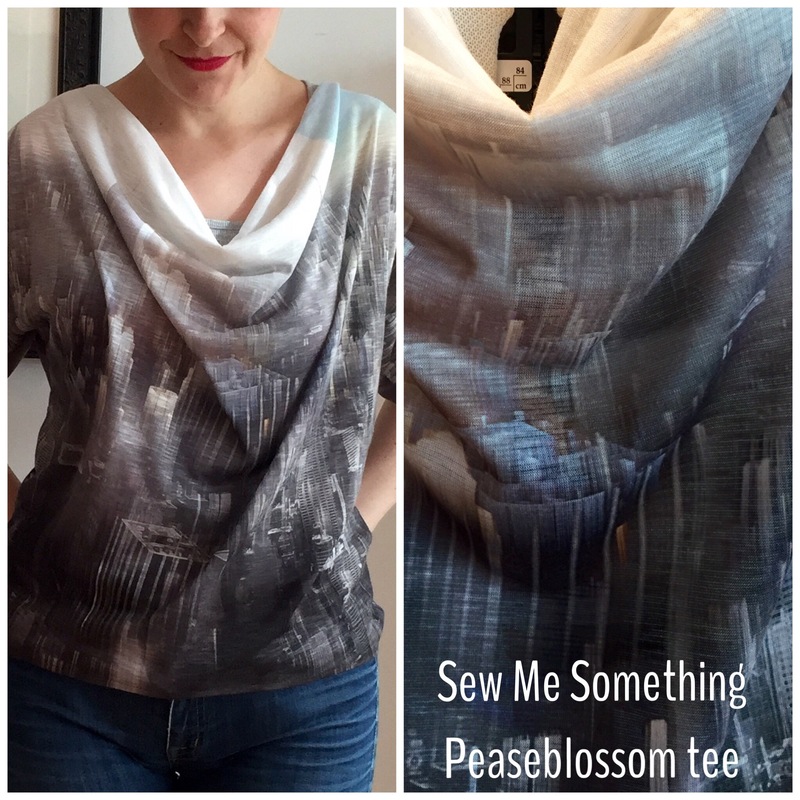 The Peaseblossom can be made in a knit or a lightweight woven. 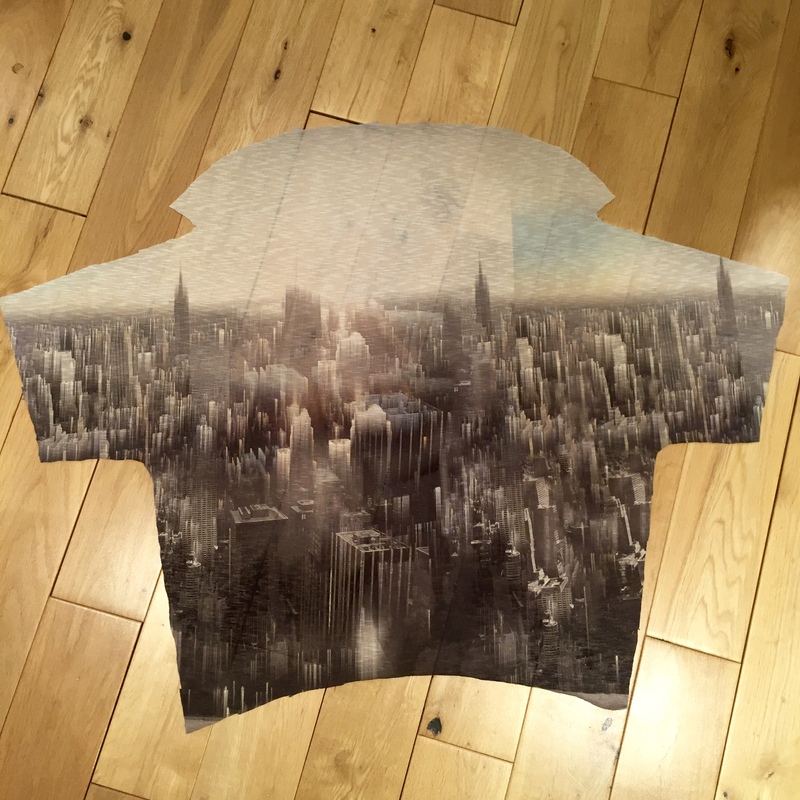 I had enough of this lightweight, digital print jersey left to make a front for a top. 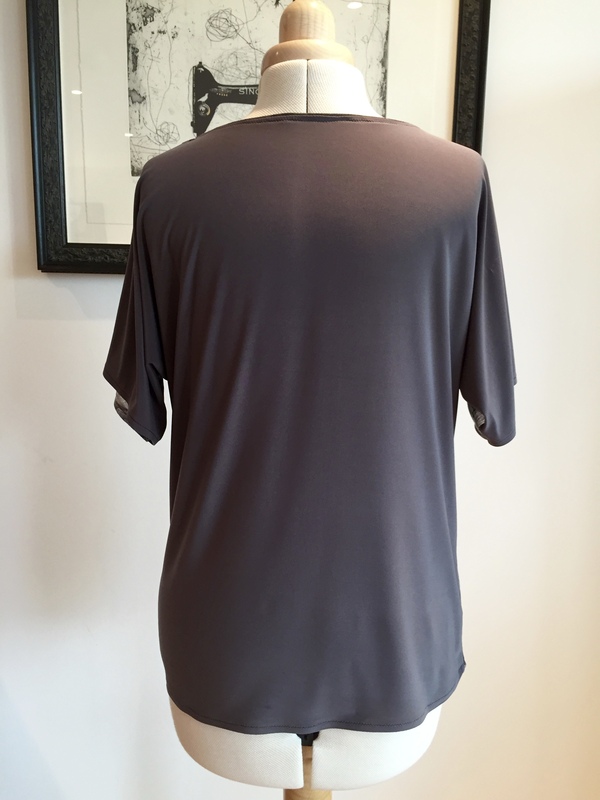 So did a bit of hunting to find something the right colour and (more or less) weight for the back and found some viscose jersey that was close enough to work. 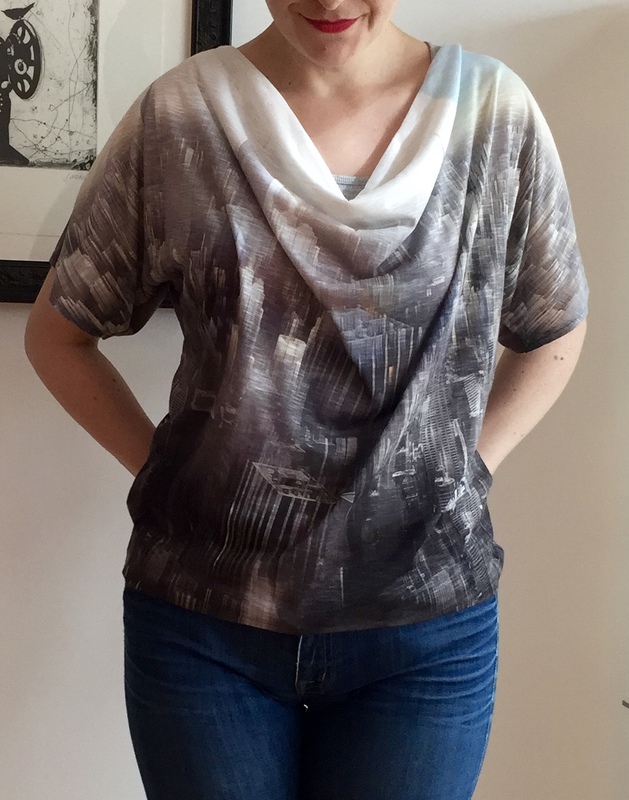 I based my size choice on the finished garment measurements for this one so cut a size 8 rather than a 10. The finished bust measurement was 38 and 3/4″ for the 8 and 40″ for the 10 so lots of wiggle room. The construction process is very straightforward and from pattern tracing to hemming was an easy evening’s sewing. The only change I made was to add a bit more length to the sleeves. I just cut them to the length of the largest pattern size to save measuring front and back (laziness). I used thin grey ribbon to stabilise the shoulder seams and some of the front fabric to make the back neckband so you get a little peep of it going round the back. The only instruction I would do differently next time is to leave sewing the sleeve hems until the side seams have been sewn up. I prefer the finish that gives and should have known better to do that as I was making it up! I used my favourite Wonder Tape to stick down the hems before sewing them- no wavy hems here thank you! 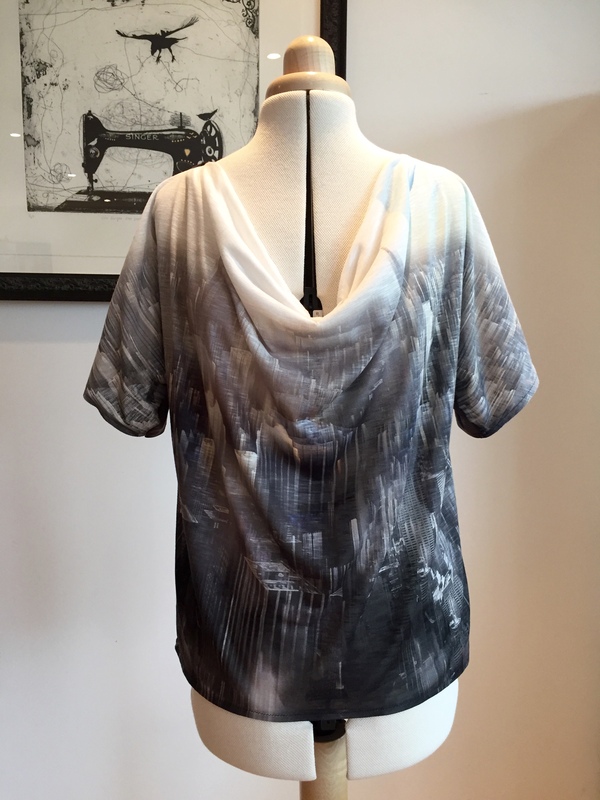 Because there is so much ease in this top you can get off with using straight stitch more than usual with a stretch fabric. I finished the sleeve hems this way. 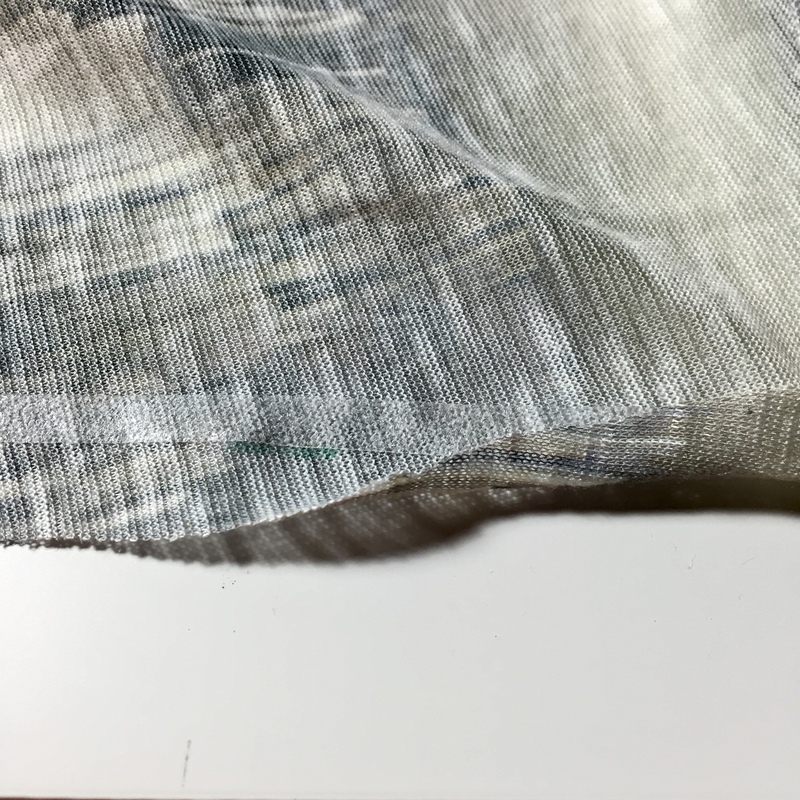 This fabric was so light that finished edges with a 4 thread overlock felt like too much thread so it’s sewn together with a combination of 3 and 4 thread overlocking depending on the number of layers. 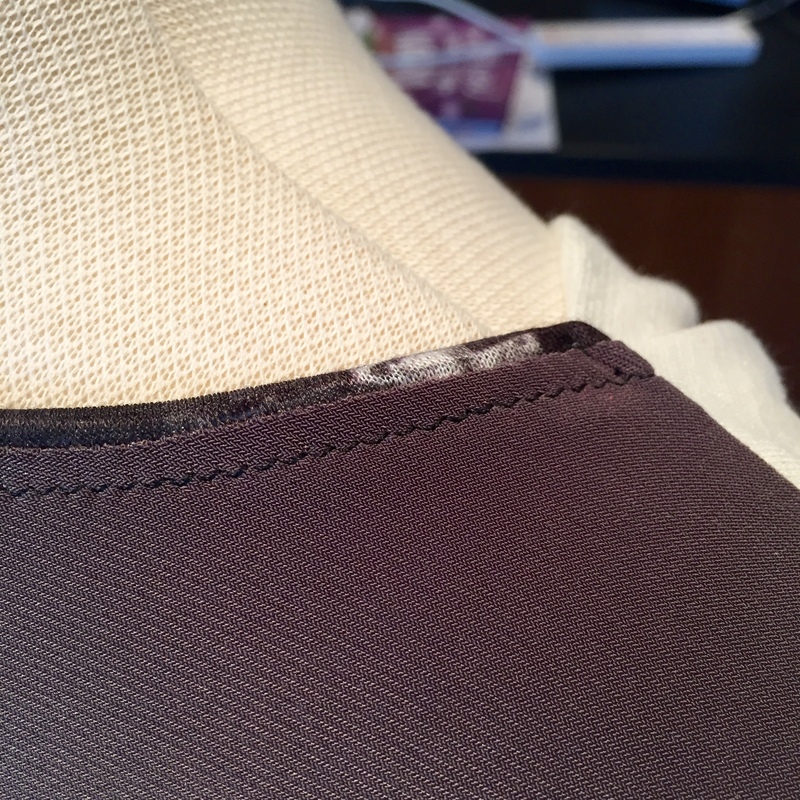 I basted the side seams to check the fit before permanently sewing them and ended up increasing the seam allowance from 3/8″ to 5/8″- very happy with the end result!